These days it seems everyone in the family has a smart phone. Then there are the laptops, ipads, and smart TVs. Sound familiar? They’re some of the many reasons it pays to upgrade your home’s electrical outlets so that they’re in sync with today’s electronics-crazy world. In a family where everyone has electronics to charge, there’s no such thing as having too many USB ports! Including these dual-purpose outlets in your modern household just makes sense! These are handy for so many reasons, from keeping “monsters” out of little ones’ bedrooms at night, to lighting your way to the bathroom in the wee hours. 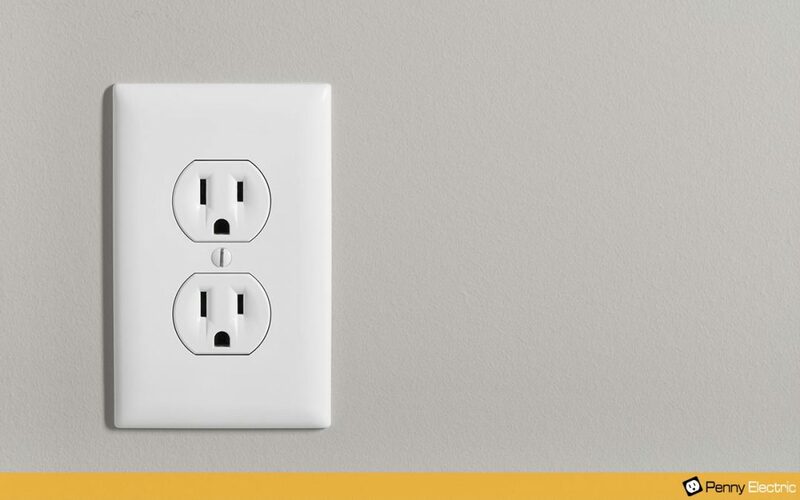 No doubt you’ve heard of GFCI outlets, which help prevent burns, electric shocks and electrocution. A GFCI has sensors that measure current going in and out of the outlet. When it’s operating normally, the current is balanced, but if it goes out of balance, it’s a signal that something’s wrong, and the GFCI senses it and immediately shuts down the circuit to stop the flow of electricity. Since water is a good conductor of electricity, GFCI outlets are mandatory in bathrooms, kitchens, laundry rooms, or anywhere that water and electricity could meet. Arc Fault Circuit Interrupte (AFCI) outlets help prevent electrical fires by sensing when electricity is leaking out of damaged or decaying wires and shutting off the current before wires overheat. They’re invaluable since electrical fires can spread quickly in wiring behind walls and are among the most deadly fires there are. These are great for aesthetic reasons. They keep the ugly part — the actual plug — hidden inside the wall so that all you see is the wire. These are a fantastic idea for anyone with babies, toddlers, or small children or grandchildren who might think it’s a good idea to put their finger or some other object into an outlet while exploring their close-to-the-ground world. Everything is new and worthy of inspection to little ones, and these eliminate the very real risk of electrical shock. Okay, so these aren’t new-new, but there’s no question that they’re a handy option, disappearing into kitchen counter tops when not in use. It’s no secret that electrical outlets are not the most eye-pleasing features in a home, and there are so many ways to disguise them these days, it’s almost a no-brainer to take advantage of the trend. Many people choose to put them beneath upper cabinets where they’re handy but discreetly hidden from view. In the bathroom, they can be mounted inside drawers, medicine cabinets or vanities, leaving walls with uninterrupted surfaces. If you’re building a new house or adding on to your home, you may already be familiar with some of these options since many building codes require them. But if yours is an older home, it’s a good idea to update your outlets to meet the demands of modern, high-output electronics, and to improve appliance compatibility and safety. In the Las Vegas area, Penny Electric is your trusted source for a licensed electrician to update the outlets in your Henderson, Summerlin, Green Valley, Boulder City and surrounding Southern Nevada-area home or business. Contact us today for a free service estimate online or by phone at 702-279-6040.